Los Angeles has been pouring in the last 3 weeks, and it kind of mess up with all the hiking trails. Last Saturday, I went hiking with Peaks and Professors. 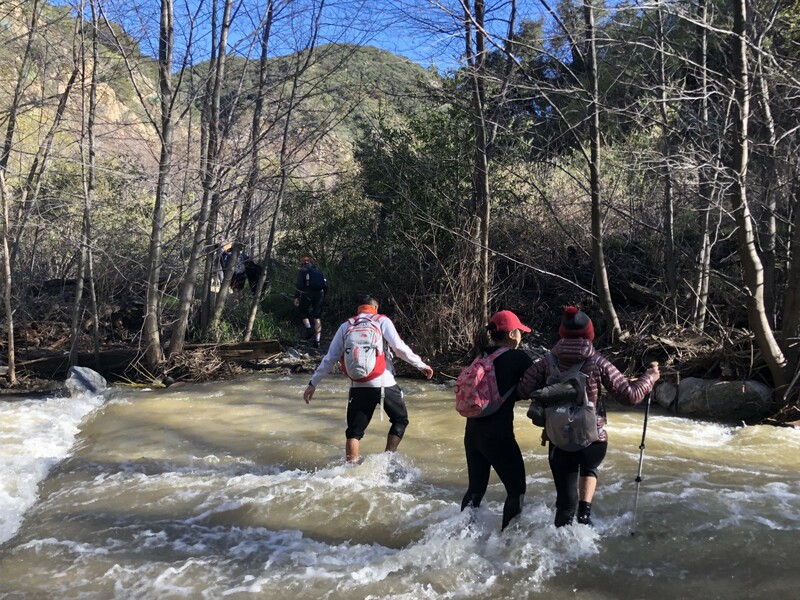 The trip lead — Mark, and Professor Andrew changed to Arroyo Seco trail instead of Bear Creek Canyon. Like usual, we started at USC EVK around 8.30am. After the roll call, we started heading to Highway 2. I was really impressed with the group of students I carpool with — they were on the USC News a couple months ago for launching the rocket on the desert. That was quite an impressive achievements that made me wonder what I had done when I was 18. The trailhead of this hike is the same with Switzer Falls, where the first part is about crossing dozen of creeks. I have done Switzer Falls many times but I never have seen so much water. The first few creeks are okay with my hiking shoes. However, the first time I put on my hiking sandals and walked through the creek. The water is freezing cold! I was not prepared for this — the first time I got out of the water, I was terrified. For a moment, I thought my heart stops a few beats. A few more creeks, the water is still freezing (of course, it’s the same water anyway), but I’m more mentally prepared. We got to the dry area for a little while, I was able to put on my hiking shoes again. We got to the lunch break area, regrouping and hoping for the rest of the hike can be more enjoyable. At this point, everyone is wet — and the sun was not enough to dry out of clothing. After 2 pm, we start crossing more creeks with stronger currents. 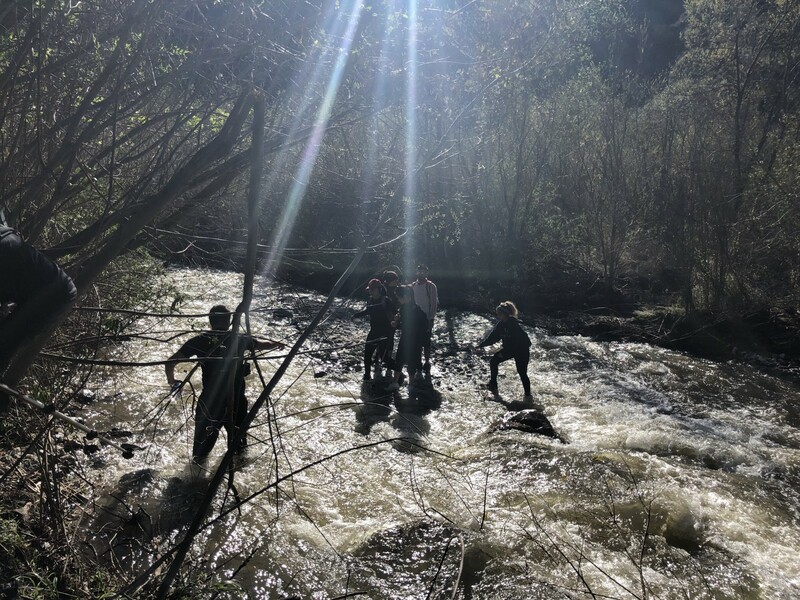 Professor Andrew and the trip leads have to find and navigate through the water the find the easiest spots for the rest of the team to cross. At this point, my feet just gave in about halfway through the water, I could not control it very well anymore. The entire team was very nice, everyone offers me a hand to help me cross the creeks. Seriously, big kudos to everyone on this trip! Would never able to do this hike without you guys! By 5 pm, we got to Gould Mesa, and the last stretch of incline to reach to the parking lot. I gave my car key to Gordon so that he can give it to someone else to drive my car to pick up other cars. The last 1 mile was really tough, but Gordon was there and very supportive. We stopped by In-n-Out on the way back to USC. I had a very interesting conversation again. One of the students told me that he is interested in becoming a venture capitalist. I was really surprised but he was not joking about it. Seriously? I didn’t know what VCs do until I was 23 years old — and here I am, having a VC-career conversation with an 18-year-old future VC. Last Saturday, Feb 16, 2019, marked exactly 2 months after my lobectomy surgery. I signed up for this trip with all the hesitation whether I can actually make it or not. 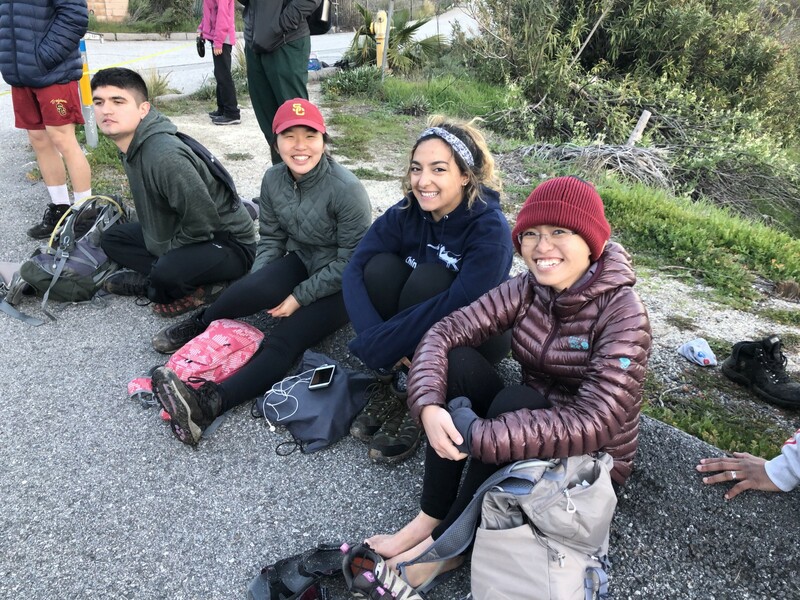 However, once again, the power of Trojans played an important role in my recovery — hiking with a group of brightest USC students. For the lack of better words: FIGHT ON!